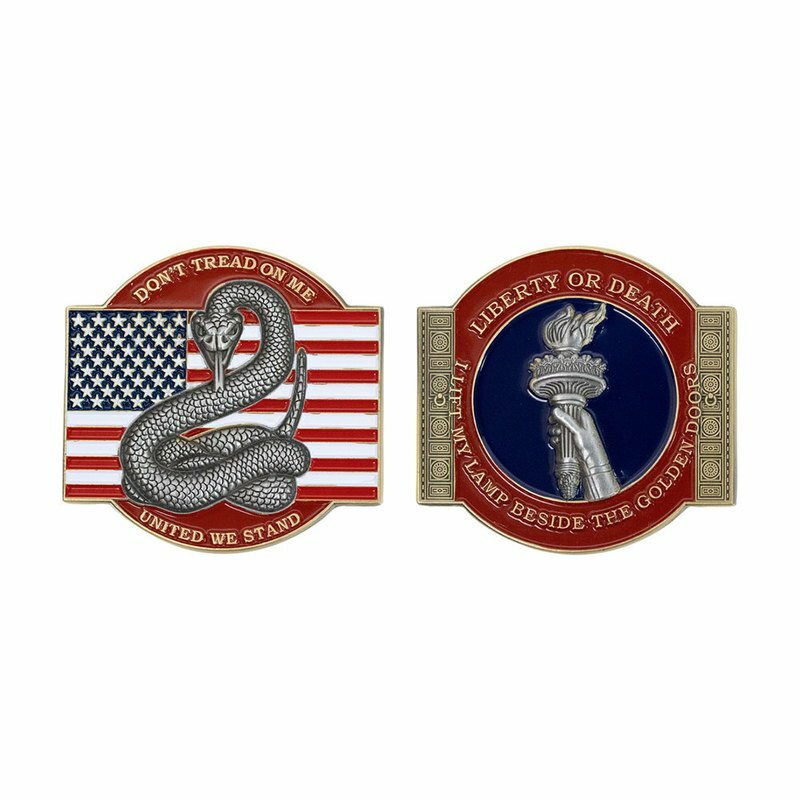 This obverse side of this 2” coin, with its powerful and famous Motto, shows a coiled Rattle Snake protecting and defending Old Glory. It is symbolic of our Armed Forces guarding and protecting our country. The Lamp of Liberty is proudly displayed on the reverse side. This salute to our brave service men and women is made of brass alloy, then plated in bronze and imbued with enamel on either side.